The Titan Fitness Column Dumbbell Stand is the perfect addition to 1" weight plate adjustable dumbbells, PowerBlocks and a wide variety of other dumbbells. 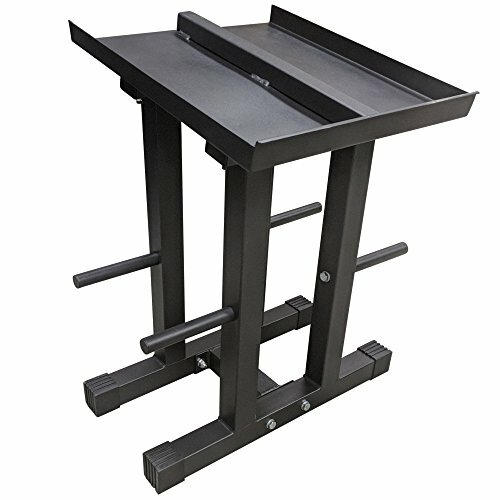 Made from heavy duty, powder coated steel, this sturdy stand can easily support a 260lb dumbbell pair and as many extra weights as you can fit on the plate trees. The column stand design puts dumbbells at proper height for lifting.